Is there a way (or do I even need o﻿ne?) to add GenerateFNISforUsers as an executable in BAIN as is possible in MO2. My advice to you is don't do it, because I don't think GenerateFNISforUsers.exe is designed to work properly under MO or MO2. If you want to know more about it then ask fore, the original author of FNIS. As for running via WB it could be done, but then you probably need to edit the bash_default.ini in the Mopy folder. Your best bet is to run it as it is from Windows desktop at least that's what I do and that works for me. 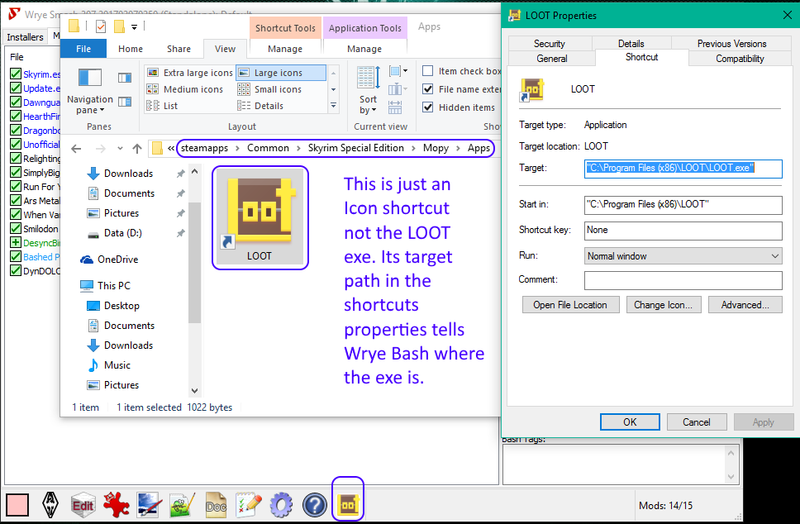 Next time you load up Wrye Bash that icon will be on the toolbar, aand as long as you got the icon path to the exe correct, clicking it should launch the exe. See Wrye Bash documentation, General ReadMe, circa section 8, "Manually adding tools to the Launcher Bar"
I forgot about that. I read it recently whilst researching during my struggle to get FNIS loaded into BAIN completely. I guess I was soo focused on learning how to do that I forgot, or rather dismissed it out of my brain-pan.